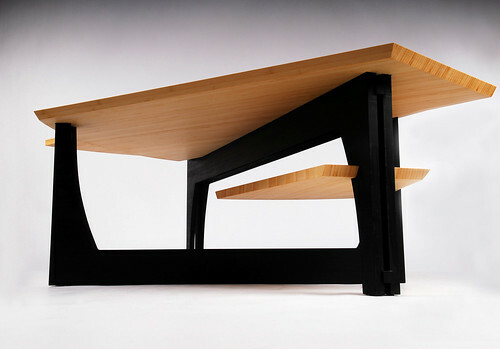 This modern coffee table design features three trapezoid-shaped shelves. Each shelf fans out at an angle provide plenty of space for electronic accessories, drinks or more. Sleek black metal beams support the shelves and continue its contemporary design.